PuraTHRIVE™ Liposomal Curcumin Gold contains a unique blend of powerful anti-inflammatory compounds that can help quell pain and inflammation. With Curcumin Extract, DHA, Ginger Oil and our patented Micelle Liposomal delivery method, you get a highly bioavailable supplement that supports joint function and all around wellness. You already know that joint pain and inflammation can significantly hamper your quality of life. You try your best to stay positive, but it’s an experience that’s both debilitating and isolating. Just remember: you’re not alone. Unfortunately, joint pain is a growing epidemic. Every day, millions of people across the globe face sore wrists, aching backs, and painful knees – often struggling to perform simple daily tasks (let alone vigorous physical activity). It’s reaching a breaking point. You need an effective, natural remedy for your pain, and you need it fast. We feel that it’s everyone’s right to experience their true potential, and you should no longer be held back by your pain. That’s why here at PuraTHRIVE™, we’ve crafted what we believe to be the ultimate concoction to properly support your body’s natural anti-inflammatory processes and put an end to joint dysfunction. We’ve taken extra precautions to ensure none of those precious substances are going to waste, so you get the most potent liquid curcumin blend available today. Standard curcumin supplements are notoriously hard to absorb, but with added organic glycerin extract and fulvic acid, our patented micellar liposomal deliverymethod is clinically proven to protect the anti-inflammatory molecules from breakdown in the digestive tract – so they can be safely delivered to the cells that need it most! Healthy, functioning joints are crucial if you want to be out there living an active lifestyle. Great news: research shows that curcumin can help support pain-free mobility, with those taking supplements recording up to a 73% reduction in joint stiffness8. Ginger oil can also significantly reduce knee pain in people with osteoarthritis9, and DHA may help to slow down the onset of osteoarthritis and joint breakdown by supporting the health of cartilage and connective tissue.10 If you’re after long-term joint health and mobility, combining these three powerful ingredients into one formula might be your answer. No one should be in chronic pain, and with Curcumin Gold, you don’t have to be. Studies show that curcumin can lead to a 16-fold decrease in inflammatory markers, and can reduce dependency on non-steroidal anti-inflammatory drugs by 63%11. When it comes to killing pain, ginger is your friend too. It’s as effective as conventional anti-inflammatory medications in reducing pain symptoms, without the potentially harmful side effects12. 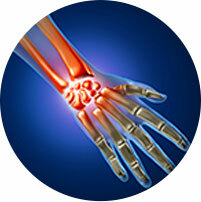 This isn’t just great news for your joints – inflammation is linked with just about chronic disease known to man13. 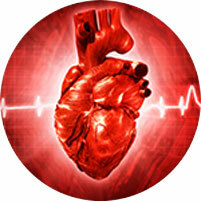 Put out the inflammatory fire, and your disease risk may well plummet. Taking a conventional curcumin supplement may seem like a good idea, but the issue is that it’s notoriously difficult for the body to absorb. Even after taking fairly high doses, only small amounts tend to appear in the bloodstream (where the curcumin goes to work).7 We’ve solved that issue for you with our patented Micellar Liposomal delivery, whereby we wrap the curcumin molecules in a series of protective layers, allowing them to safely pass through the digestive system and be properly absorbed by your body.3 4 No more wasting your hard-earned money on supplements that your body can’t actually use! Our goal at PuraTHRIVE™ is to provide you with the highestqualityproducts possible, so you can get out there and thrive. That’s why we produce our unique Curcumin Gold formula inside an FDA Certified, GMP compliant lab in the USA. What’s more, our supplement has been thoroughly tested and is confirmed Heavy Metal Free / Prop 65 Compliant, Gluten Free and Non-GMO. Just great quality ingredients, and nothing else whatsoever. A long chain omega-3 fatty acid that plays an important role in supporting joint health and is crucial for maintaining a healthy heart and mind.16 As opposed to standard fish oil that’s notoriously hard to stomach, we use a completely deodorized, deoxidized, algae-based version of DHA for maximum bioavailability (and a pleasant tasting end product). Closely related to the turmeric root, ginger is another powerful anti-inflammatory and antioxidant. The main active compound gingerol is involved in processes that can reduce symptoms of pain,12 support digestion, and improve insulin sensitivity. It also adds a subtle flavour to Curcumin Gold, with light, spiced undertones. – What are the main benefits of PuraTHRIVE™ Curcumin Gold? – Who can benefit from PuraTHRIVE™ Curcumin Gold? Liposomes are a fancy way to describe a layer of fat (very similar to your own cell walls) that help to improve the bioavailability of the active compounds in Curcumin Gold.3 4 Through our patented delivery technology, the liposomes protect the precious anti-inflammatory molecules from the acid in your stomach, allowing them to pass safely through your digestive system fully intact. They shield and shuttle the nutrients into your intestines, bloodstream and then finally your cells – totally unharmed. Amazing, right? The benefit of taking more is that it can help to relieve inflammation faster and therefore reduce pain. You could use the product to help with specific pains, such as a headache. 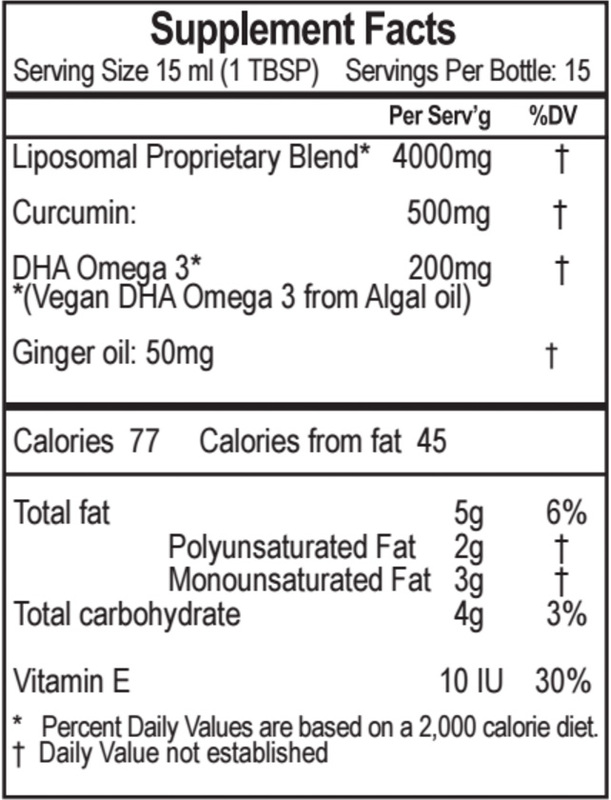 Take 1 Tablespoon of PuraTHRIVE™ Curcumin Gold daily or as directed. Enjoy straight, drop into a small glass of water or mix into an 8 oz. glass of juice. It can also be added to your favorite smoothie blend. Our Liposomal Curcumin Gold formula is crafted inside an FDA Certified, GMP compliant lab in the USA. Our product has been tested and is Heavy Metal Free / Prop 65 Compliant, Gluten Free and Non-GMO. Bharat, B.A., et al. “Curcumin–Biological and Medicinal Properties,” Turmeric: The genus Curcuma; Medicinal and aromatic plants–industrial profiles, edited by Ravindran, P.N., et al. Boca Raton, FL: CRC Press, 2007.